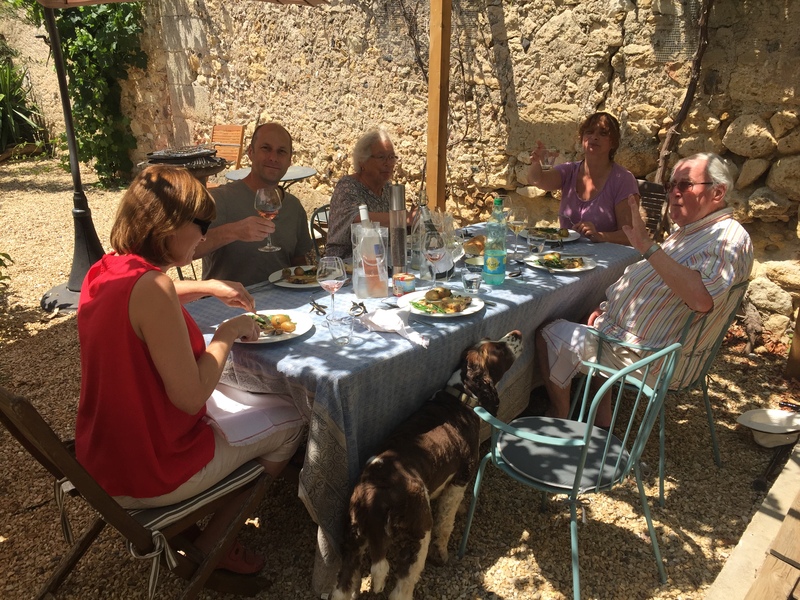 The end of May and temperatures are rising here in the Languedoc. 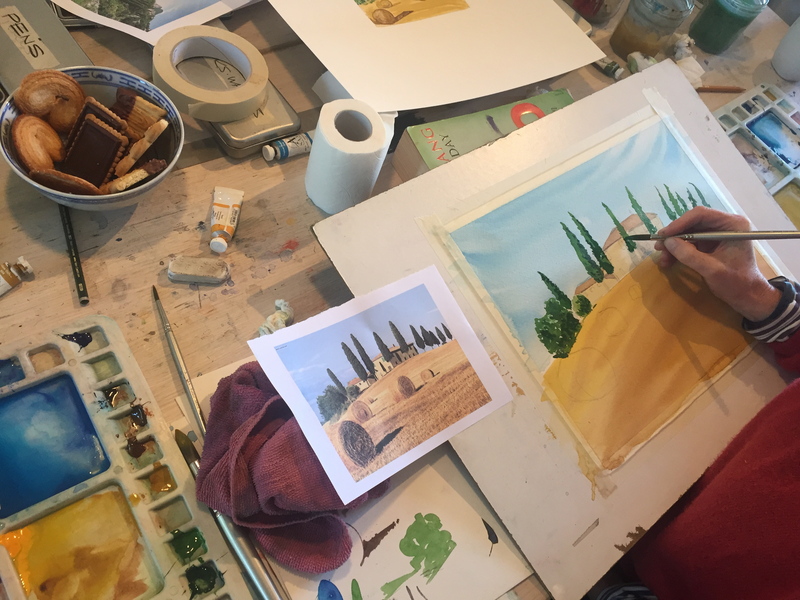 This week we’ve been busy every day with painting holiday guests and regulars – painting en plein air as well as two studio days. 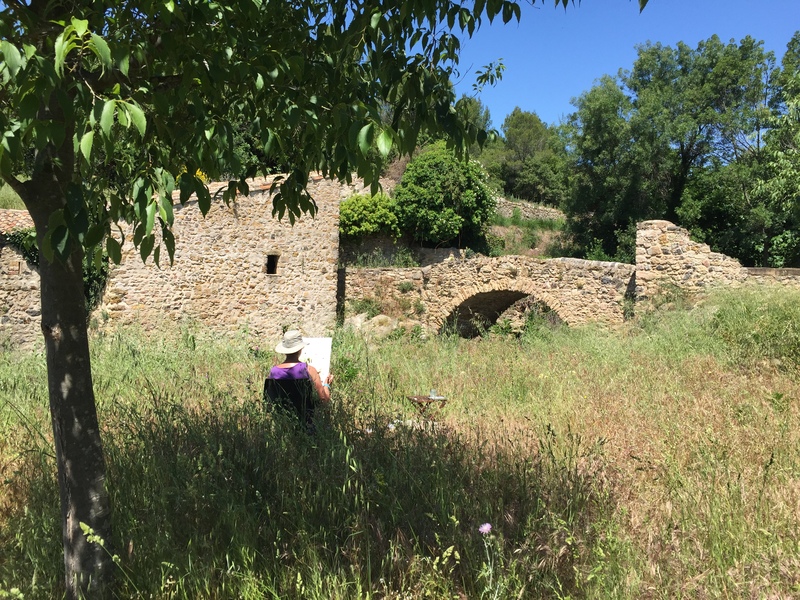 Scenes have varied from fast flowing rivers to ancient watermills and restored wind mills. 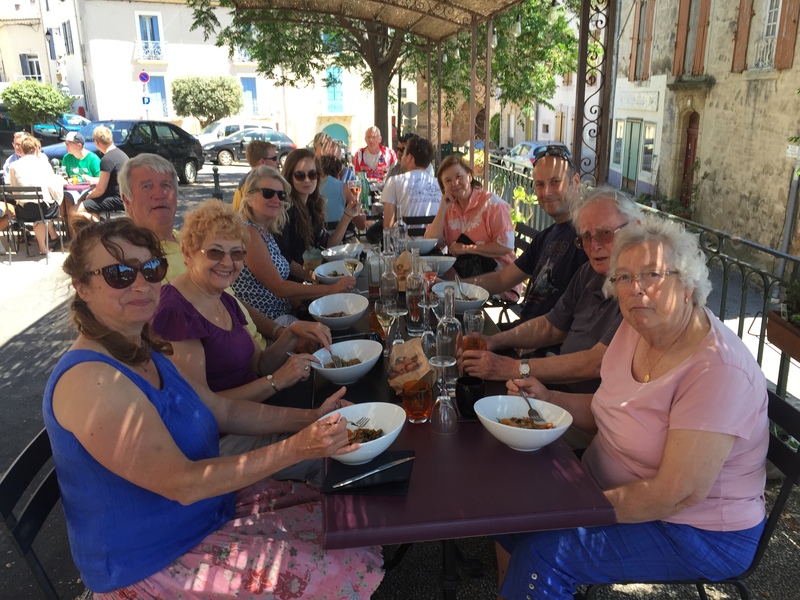 What’s proved popular is enjoying lunch together afterwards in a nearby restaurant. 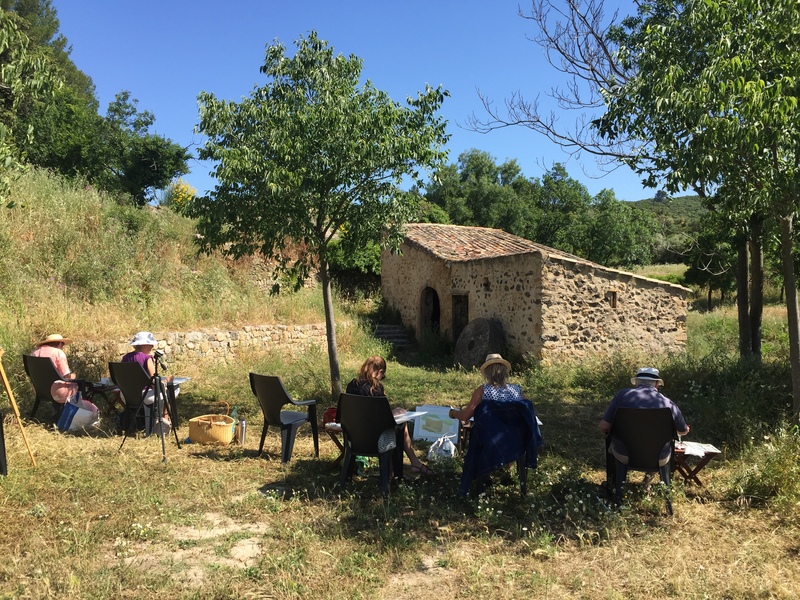 Friday was particularly lively with a painting class upstairs and Monica running a cooking class downstairs which led to lunch for all in our shady garden. A perfect combination. 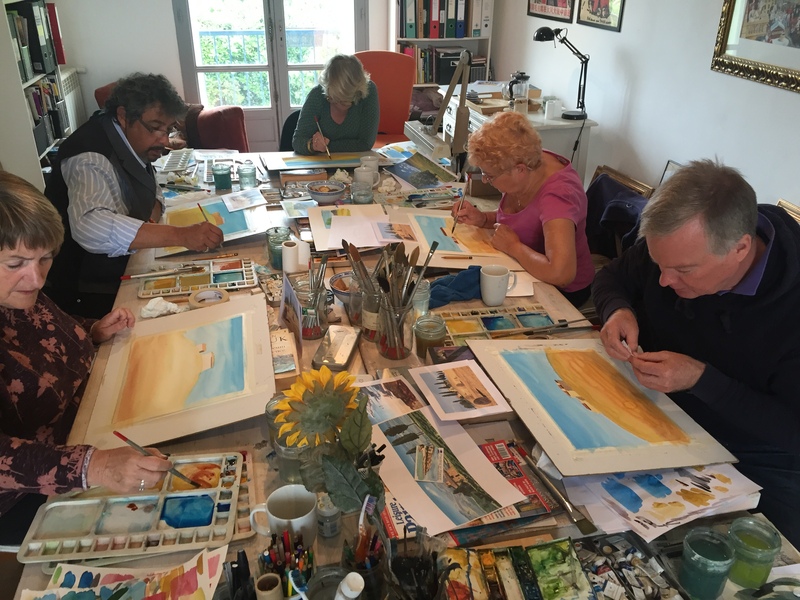 A few weeks ago, I also ran a Free Taster morning for anyone who wanted to come along and try their hand at watercolour painting. 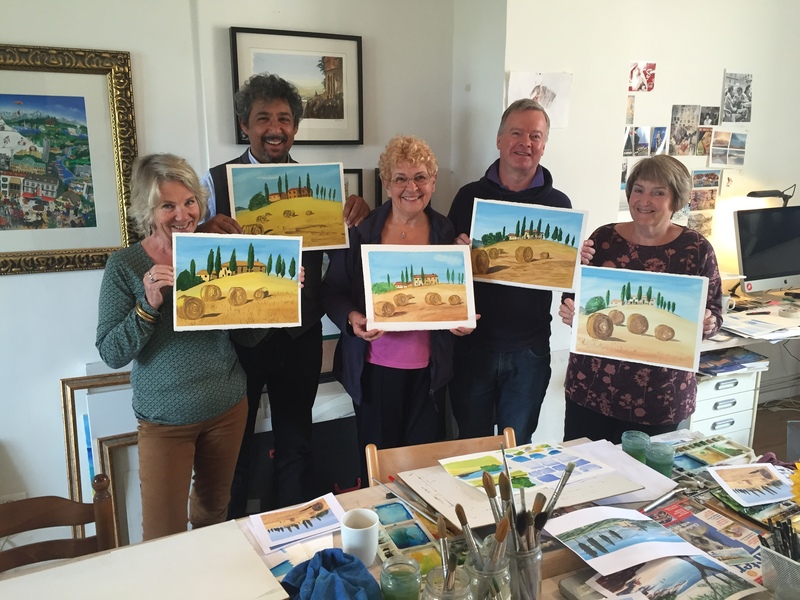 I suggested that we all painted the same scene and the Tuscan farm was voted for. 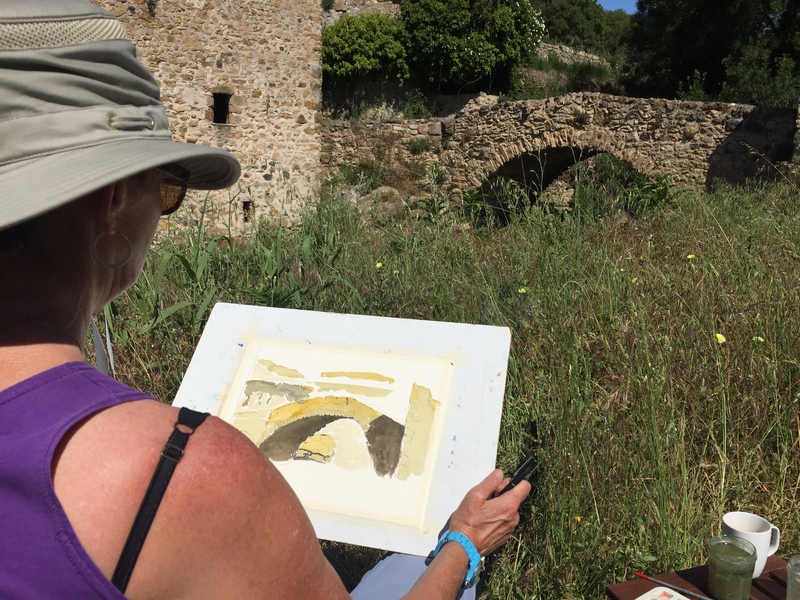 Many of the participants hadn’t painted since school days but judging by the results, we awakened dormant talents. 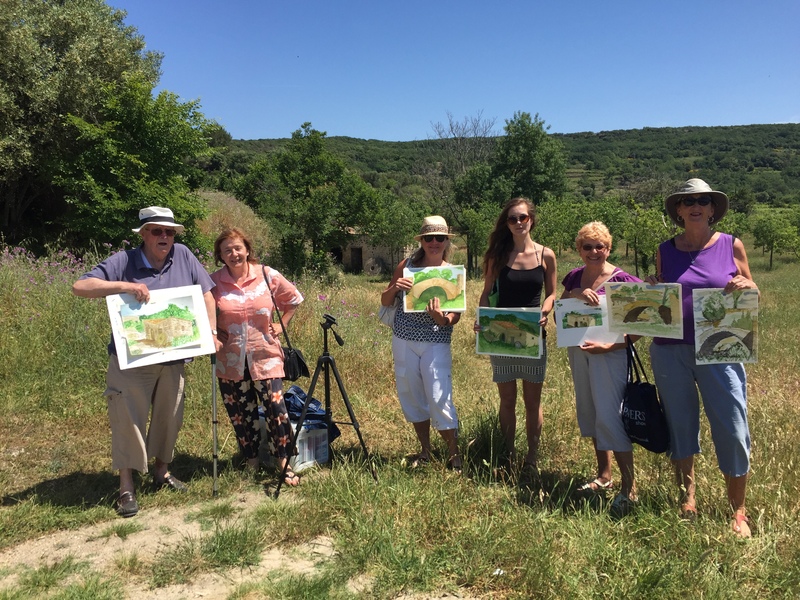 Get in touch if you’d also like to come along to a Taster session. 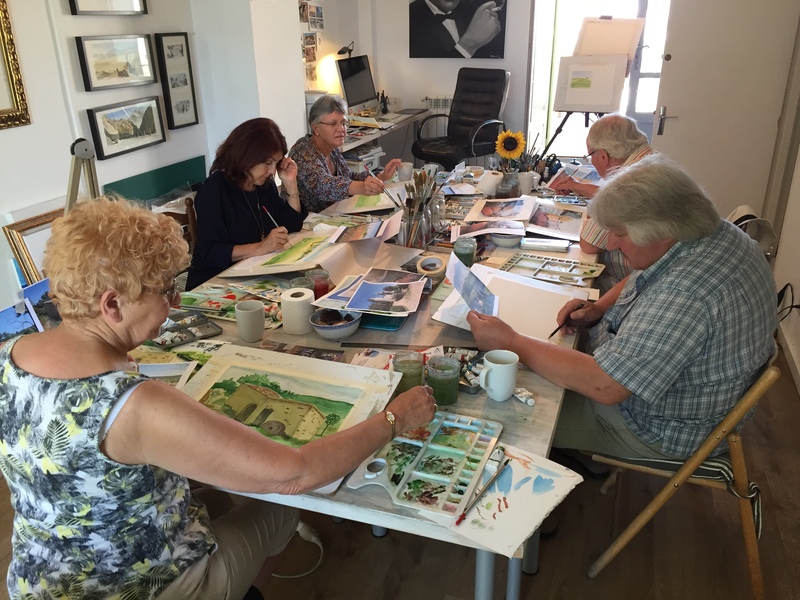 You’ll find out more information about our Painting Holidays, Classes and Workshops from our HOME page. 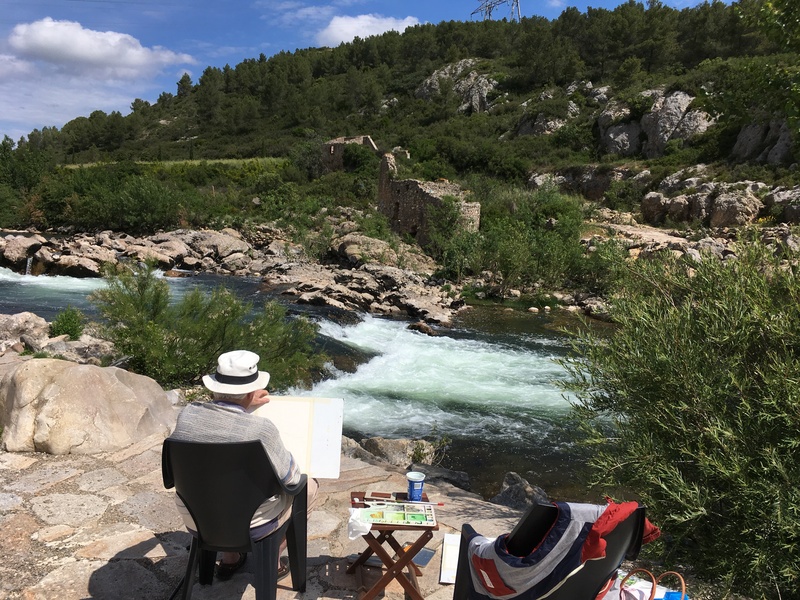 Painting alongside the river near Roquebrunn. 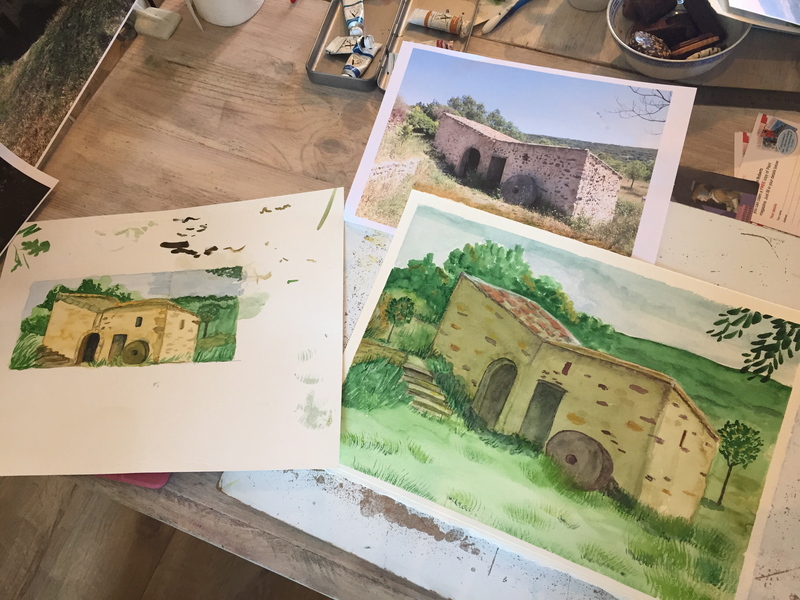 The old water mill at Neffies. 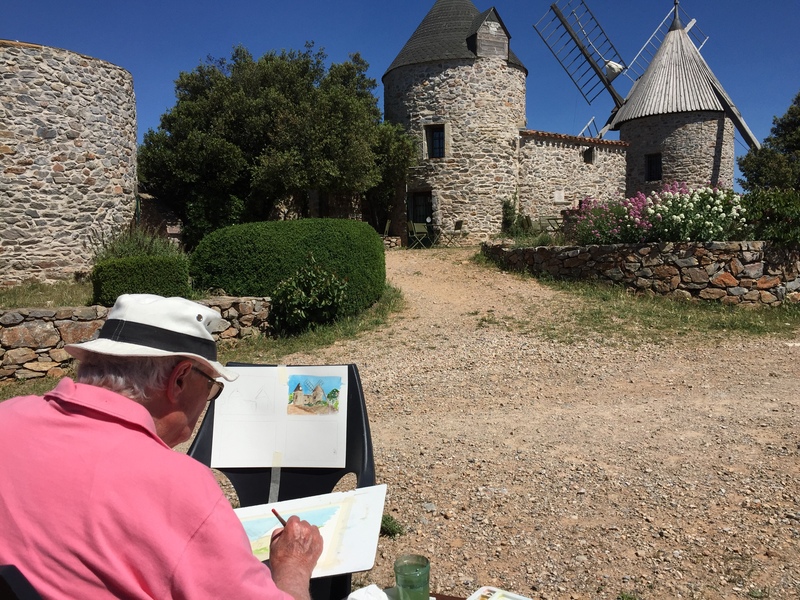 The restored wind mill, Faugeres. 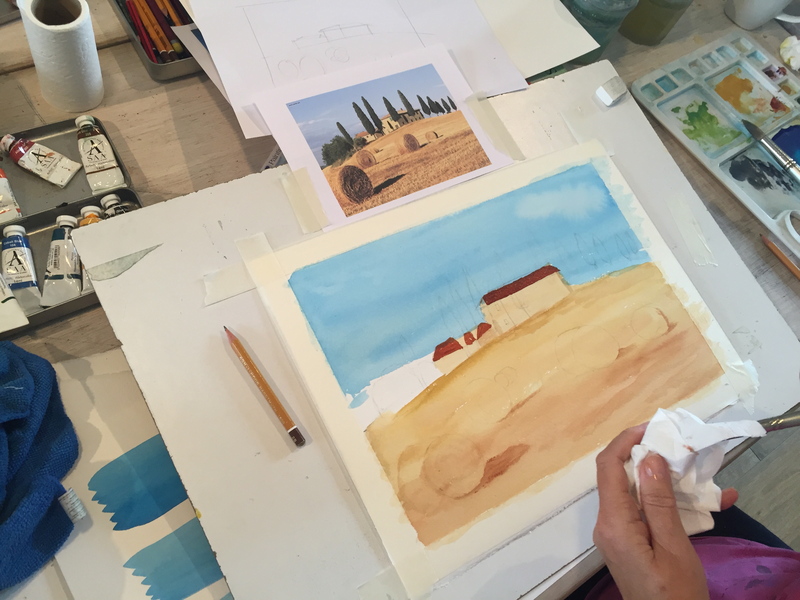 First stage of the Tuscan scene. 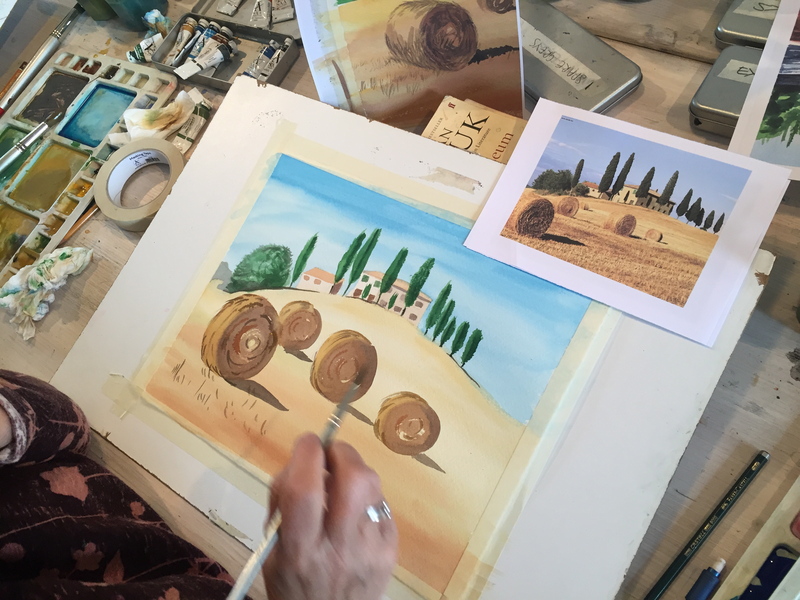 The straw bales were the final stage.